It seems to me that politics is like wrestling--there's always another move that you can make to counter your opponent. 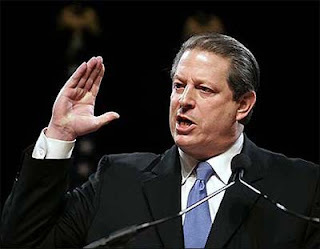 One of the problems with the recount fiasco in the 2000 elections is that Gore declared that he would abide by the decision of the United States Supreme Court (which by the way, had ABSOLUTELY NO JURISDICTION over Florida election law and so should not have taken the case in the first place). At the time, 7 of the 9 members of the Supreme Court had been appointed by Republican Presidents. Think about it--77% of the court are Republican political appointees and Gore declares that they have the final say. He gave away all his leverage. I believe there was another move he could have made. In 2000, Democrats held the governorships in 18 states. More importantly, a Democrat was the governor of California (Gray Davis), Oregon (John Kitzhaber), and Washington (Gary Locke)--Democrats controlled the entire west coast and also Washington D.C. itself. The winning move would have been for Gore to reach out to Democratic governors and get them to agree to pull out of the union if every vote wasn't counted. After all, THAT'S WHAT REPUBLICANS WOULD HAVE DONE if the shoe had been on the other foot. The argument would have been simple--"In this country, we count every vote. If you stop the vote count, this is no longer a democracy, and we are doing to form our own country." The Mayor of Washington D.C. could have declared D.C. part of this newly formed country as well and evicted the former United States government from his country. The question then would have become--what is the military going to do? At the time, Clinton was still commander in chief of the military and he could have ordered them to stand down. Remember Clinton was still very popular and Gore had just won the popular vote in the election--it would have been extremely difficult for the military to challenge these decisions. In the end, Al Gore would have become the President of the Democratic States of America, George Bush would have come the President of the Confederate Republican States of America and everyone would have basically gotten what they wanted. I'm not saying it would have worked. I'm just asking if Gore ever made the phone call to the Governors to propose the idea to them? That's hardball politics--understanding that politics at its core is about power--getting people to follow your leadership.